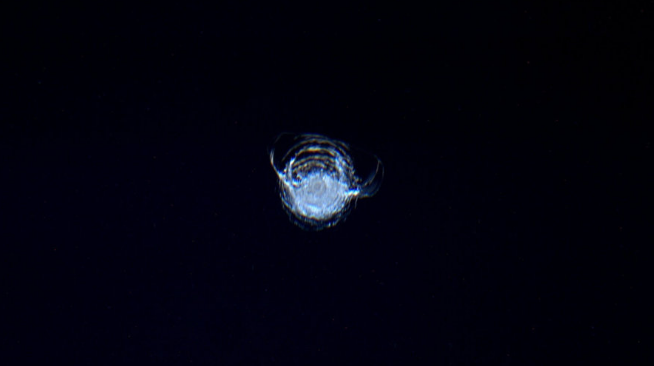 INTERNATIONAL SPACE STATION, May 19, 2016 — The only thing worse than a flying rock chipping your car window is a flying rock chipping your space station window. That’s what you’re seeing in the photo below, taken by British astronaut Tim Peake on the International Space Station. A piece of space debris left the 7 mm-diameter circular chip in the space station’s window, but there’s little reason to worry. These are strong windows.